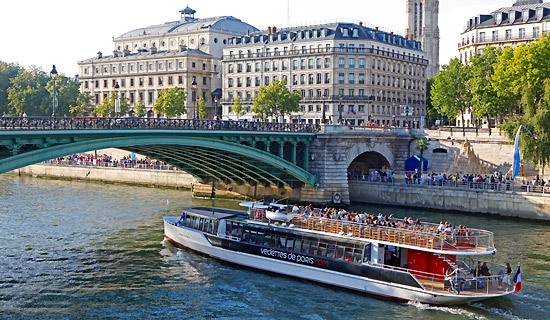 Discover Paris by the river Seine during your Seine cruise ! So many ways to discover Paris ! 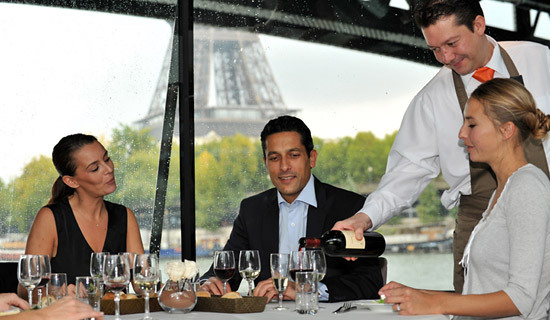 Seine cruise in Paris by day or by night, theme cruise or sparkling cruise (with Champagne included), cruise commented or not. 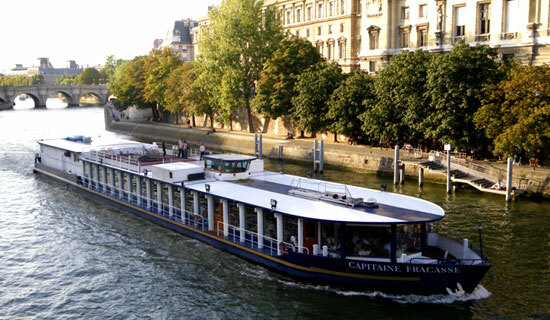 France Tourisme have selected all inevitable Seine cruises in Paris. 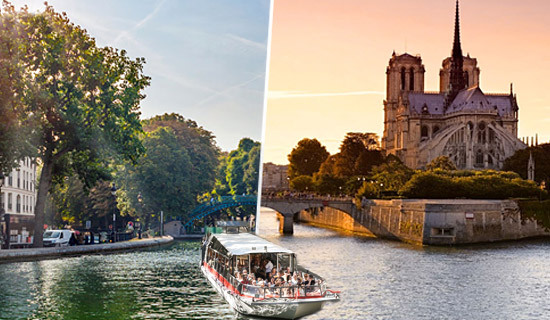 According to your desires and expectations, choose one of our packages to discover landscapes, places and monuments which contribute to Paris reputation : Tour Eiffel, Louvre, Notre-Dame ... You will be welcomed by the crew member to see Paris with the stream. Hurry up, we are waiting for you to weigh anchor! 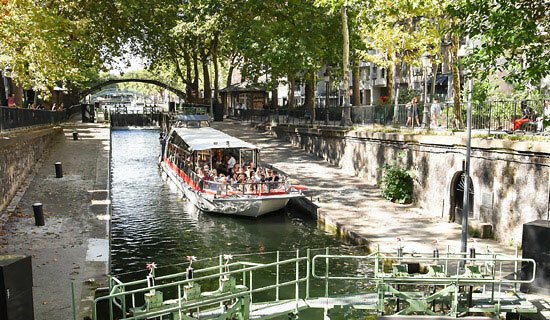 A romantic and out of the ordinary trip in the heart of "Parisians' Paris"
This romantic and out of the ordinary trip of around 2.30 hours offers an opportunity to hear the history of the districts of the "Parisians Paris" as you cruise along the calm waters of this canal, lined with hundred year old trees and spanned by elegant footbridges. Unbelievable ! 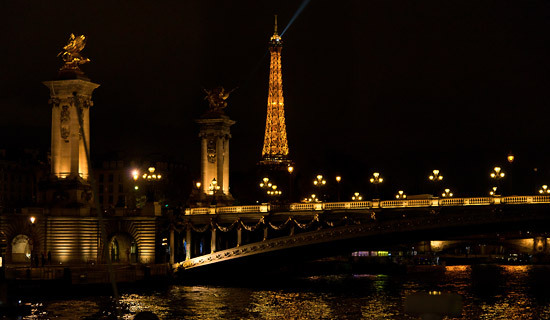 A sparkling seine cuise in Paris ! 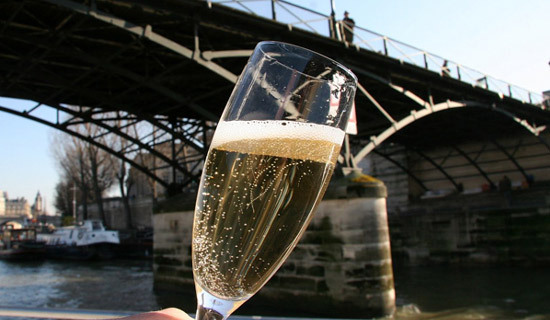 Take time to board for 1 hour seine cruise with a glass of Champagne included (or 1 aperitif). 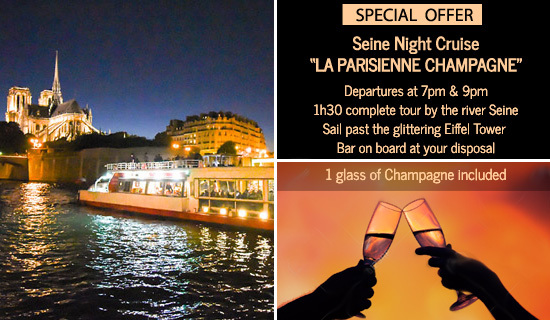 You will be welcomed in a warming and comfortable atmosphere and could enjoy at once a Seine cruise discovery with some Champagne bubbles.